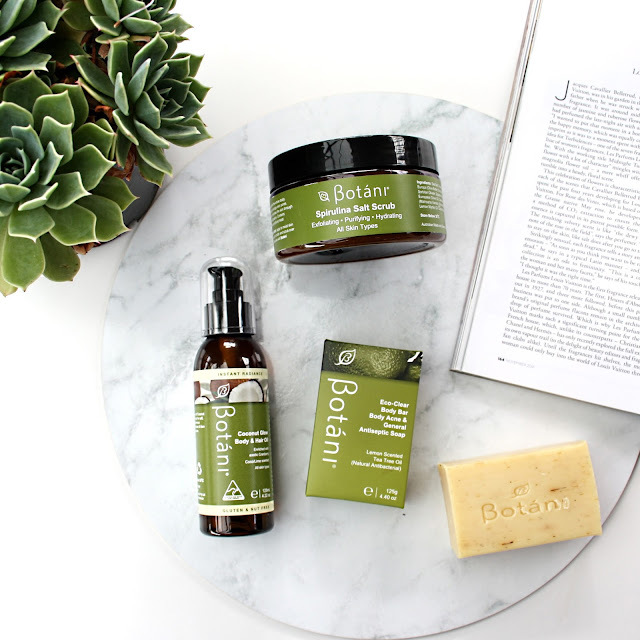 I was recently sent some body care goodies from Botani and was super excited to test them out. I have been using them for about a month so decided its time to share my thoughts! Created by a caring Melbourne naturopath, Botani blends botanical actives with modern science to create innovative, treatment focused skincare products. Botani delivers pure, authentic and simple 100% vegan, pure plant solutions using only natural and certified organic ingredients. 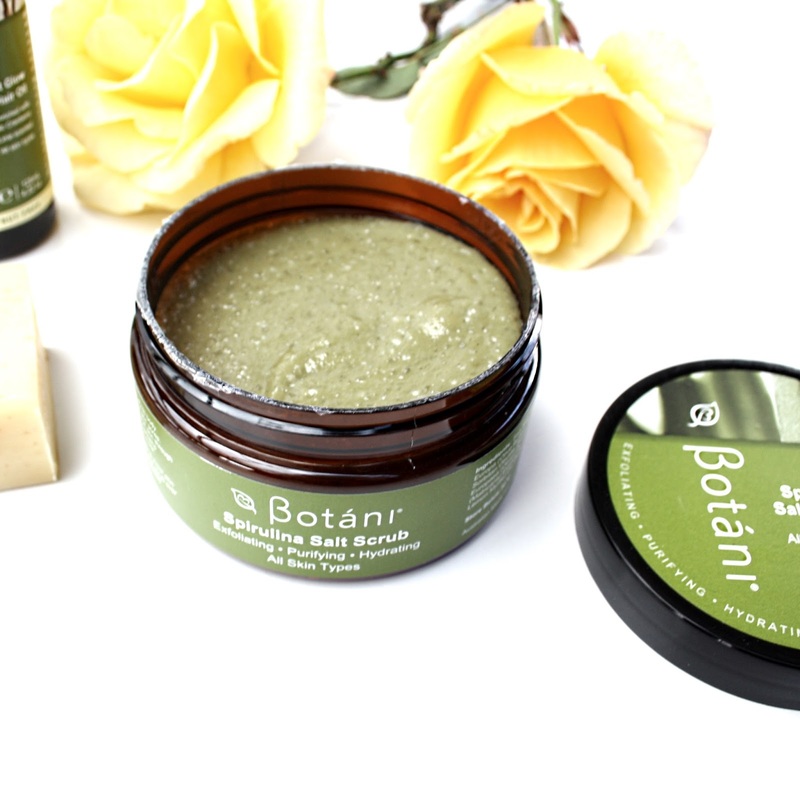 Enjoy an invigorating body and feet treatment at home with Botáni’s unique Spirulina Salt Scrub. This cream based, body-smoothing skin beautifier, moisturises as it exfoliates, to unveil renewed, silky skin. A meticulous blend of Australian sea salt, Australian Lemon Myrtle and organic Spirulina, the salt scrub promises to delight your senses and is the ultimate pampering experience. This salt scrub is the most unique exfoliant I have tried. It has a cream base with scrubby particles that you massage into your skin to remove dull, dead skin. This also slightly foams up when in contact with water, which I'm not used to, but I love it. This scrub smells like lemon myrtle and unclogs my skin to reduce ingrown hairs and keratosis pilaris on my arms, and leaves me glowing and soft. It is also very hydrating and I would recommend to those with dry skin. Enjoy smooth, glowing skin and hair with Coconut Glow Body & Hair Oil. A unique 2 in 1 formulation that provides a natural alternative to silicon based products without compromising on the smooth, soft, silky feel that we all want for our hair and skin. This light-weight, non-greasy body and hair oil is a nutritious treatment enriched with an exclusive blend of plant actives. These actives provide your hair and body with vital protection from harsh environmental elements and assist to strengthen and restore both skin and hair. Pamper yourself with the luxurious hydration and nourishment of Coconut, Cranberry, Crambe and Avocado Oils, while the tropical fragrances of Coconut and Lime delight your senses. This oil is a great multi-purpose product that can be used on the body or hair. It has a delicious lime scent and is packed with Coconut, Cranberry, Crambe and Avocado Oils to nourish without being greasy. This oil is lightweight and doesn't weigh hair down at all. You only need the smallest bit to give shine to hair, hydrate ends, and smooth flyaways. This is the perfect after beach treatment to re-hydrate skin and hair. 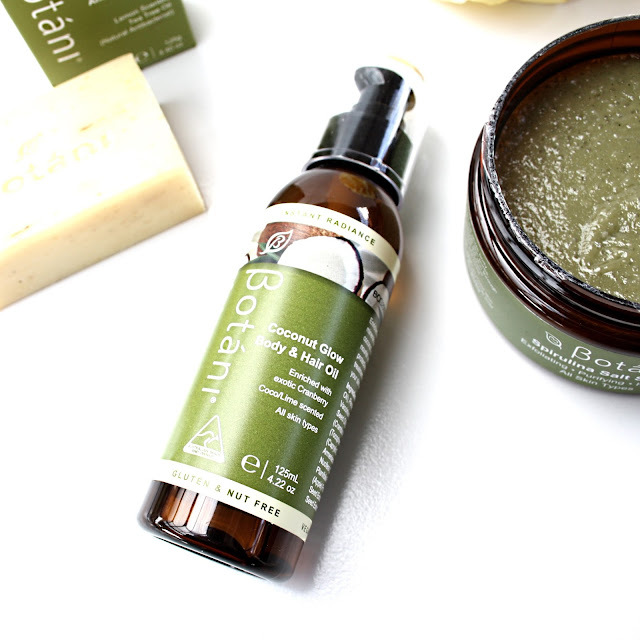 Leave your skin clean, healthy and hydrated with Botáni’s Eco-Clear Body Bar. This refreshing, naturally medicated soap uses antiseptic and anti-bacterial actives to purify the skin without stripping the surface of healthy oils. Treating body acne and common fungal infections with Australian lemon scented Tea Tree oil; a natural anti-bacterial. Botáni’s Eco-Clear Body Bar is suitable for all skin types, especially congested and acne prone skin. Body acne is something I have struggled with as long as I have struggled with facial acne. This soap smells amazing and I would use it even if it didn't help my acne, but guys! I have noticed my back seems to be heaps clearer this entire month, which I don't think is a coincidence. I love how this can be used as a regular body soap as well as an acne treatment! 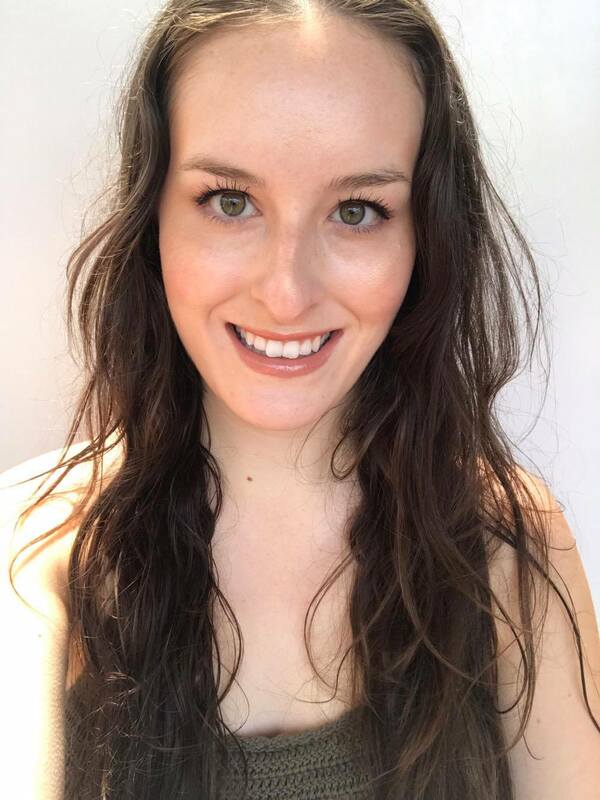 I love the body products I had a chance to test out from Botani, and highly recommend to you guys! 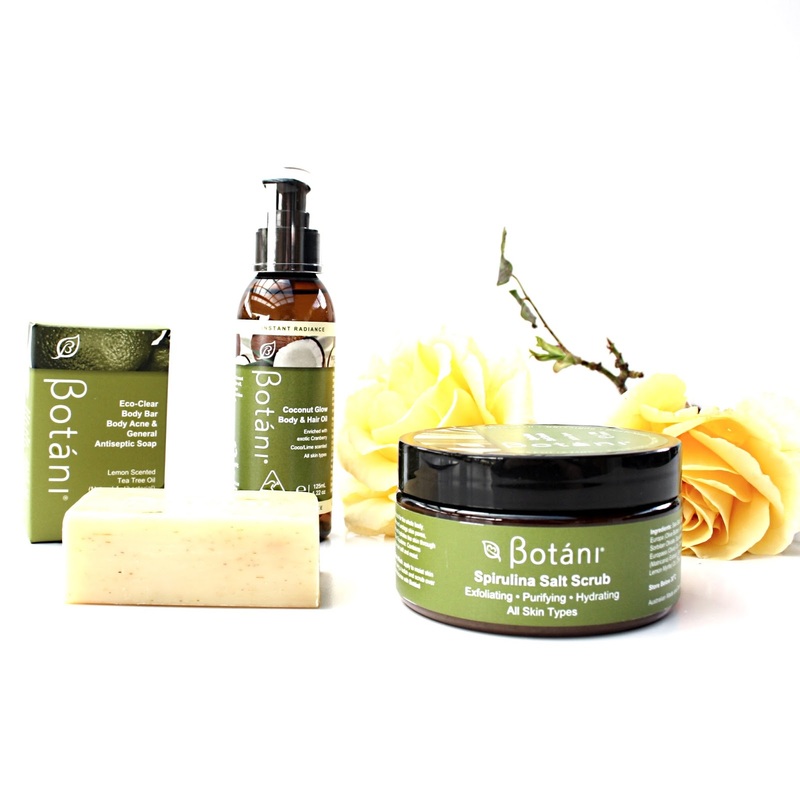 To purchase Botani, head to their website to purchase or find a local stockist.